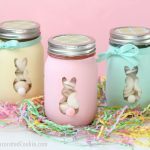 How to make Easter cupcakes in a jar, a cute mason jar food idea. 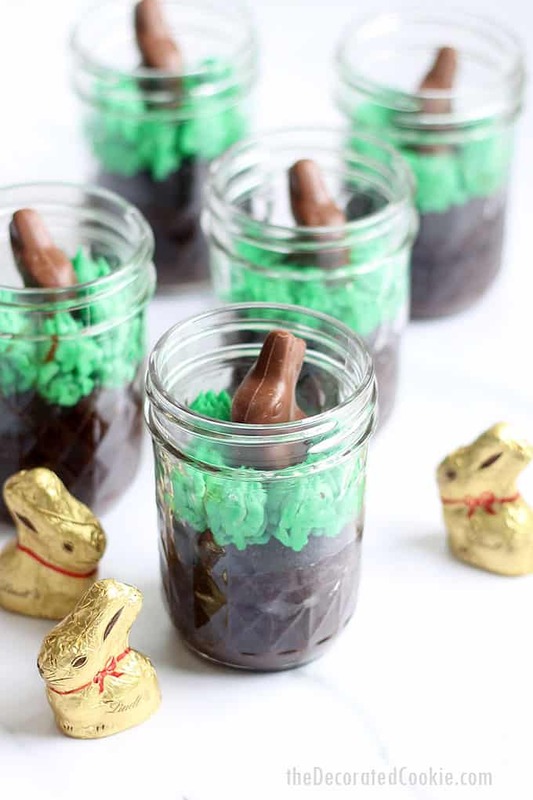 These chocolate Easter cupcakes in a jar are the cutest, easiest Easter dessert ever. 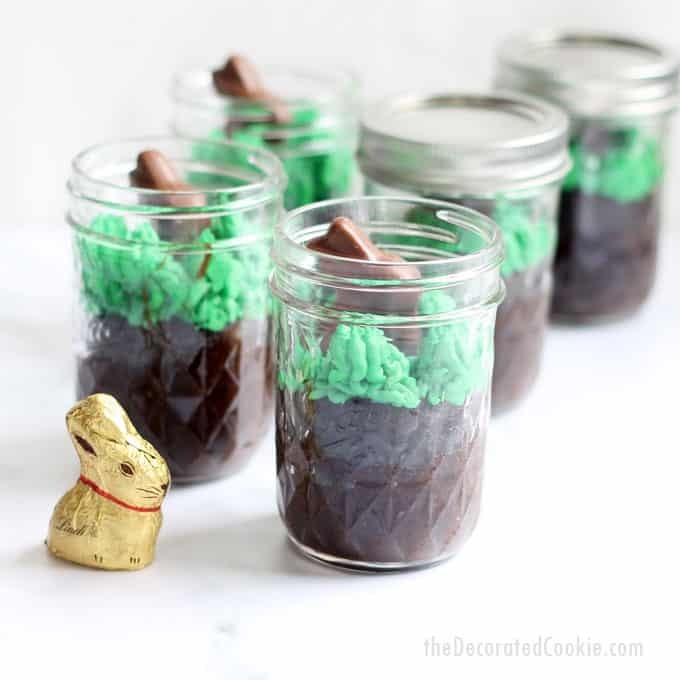 Chocolate Easter cupcakes in a jar combine two of my loves: Cupcakes and mason jars. 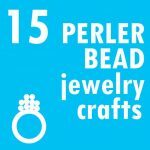 They are so easy to make with the right tools. 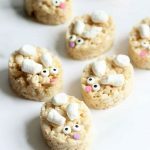 Package them for Easter parties or dessert on Easter day. Try adding fabric to the lid and a ribbon, if you like. 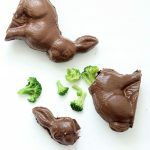 In place of the mini chocolate bunny, you can also add candy eggs. I’ll echo what I said in my popular post for (healthy!) banana bread in a jar. There is always the possibility of breakage when you bake in jars. I have never had a jar break, but please note that it is a possibility. 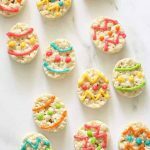 While the mason jar company, Ball’s, does NOT recommend baking in jars for this reason, I find their jars to be of the highest quality, and I use those. I place the jars on a tray lined with a silicone baking mat, to give it a barrier from the metal tray. 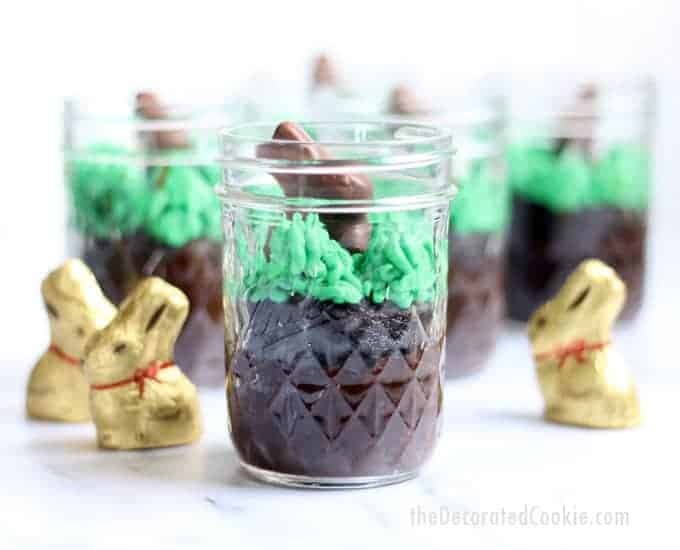 If you do not want to bake cupcakes in a jar but still want to make these, try baking a sheet cake instead and use a round cookie cutter to cut out cake to place in the jar. Or, bake regular cupcakes and press them into the jar. Line the baking tray with a silicone baking mat or parchment paper. Use standard, wide-mouth, half pint mason jars. I prefer to use 16-inch decorating bags to pipe the batter in the jar, because they hold more. Let the cupcakes cool completely in the jar at room temperature. Remember that batter will double in size when baking, so add no more to the jar than ONE-THIRD full. Let the cupcakes cool entirely before decorating. I prefer to add the lids and store the cupcakes in the refrigerator until serving time. Each jar holds about as much as a cupcake liner, so your yield will be roughly the same (or slightly less) than the yield for the regular cupcake recipe. 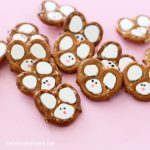 If you do not want to bake cupcakes in the jar but still want to make these, try baking a sheet cake instead and use a round cookie cutter to cut out cake to place in the jar. Or, bake regular cupcakes and press them into the jar. 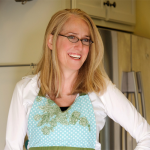 See notes above about SAFETY baking in jars, alternative baking methods, and general tips. Preheat the oven to 350 degrees F. Line a baking tray with a silicone baking mat or parchment paper. Prepare cupcake batter according to recipe. Pour into a disposable decorating bag. You will not fit all of the cupcake batter in the bag at one time. Twist and close the top with a rubber band. Snip the tip and pipe the batter into the mason jars. Fill the jars only ONE-THIRD full. The batter will double size in the oven. Bake according to recipe directions until an inserted toothpick comes out clean. Let cool completely in the jar at room temperature. Prepare buttercream frosting and tint green. 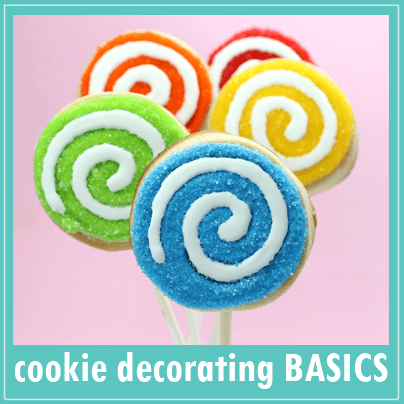 Prepare a decorating bag with the grass tip, fill with frosting, and close with a rubberband. 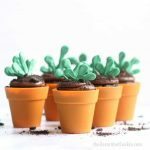 Pipe frosting on the cupcakes to look like grass. 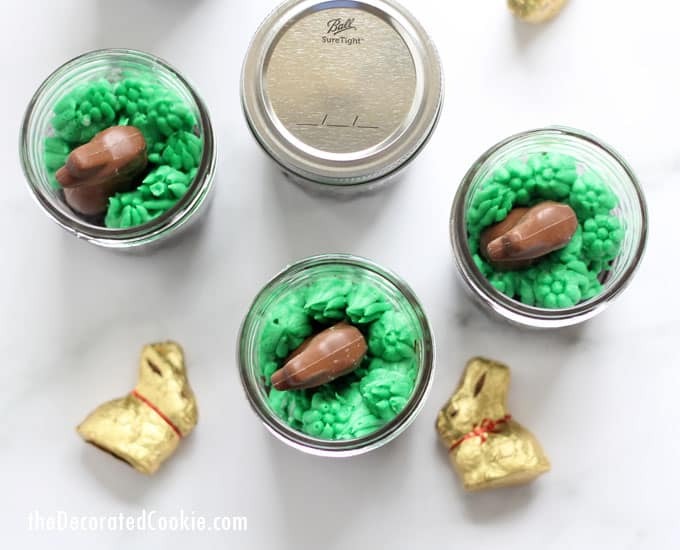 Press a mini chocolate bunny or candy eggs on top of the grass. If the cupcake rose too much to fit the lid, press the bunny firmly into the cupcake. 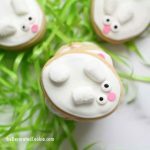 This is such a cute Easter treat! 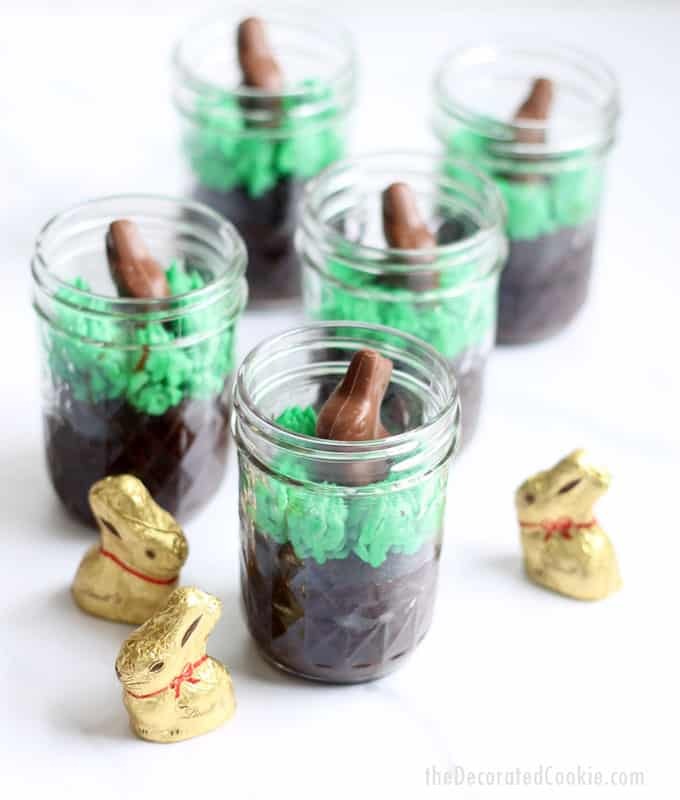 I’m also a sucker for mason jars and cupcakes, add a chocolate bunny on top and I’m hooked. 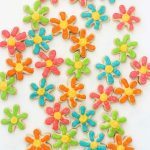 These are also such an easy snack to bring into work and would make great corporate gifts for my coworkers. Thanks for the safety tips, I never though about how different it would be to bake in a mason jar. 5 stars for the recipe!